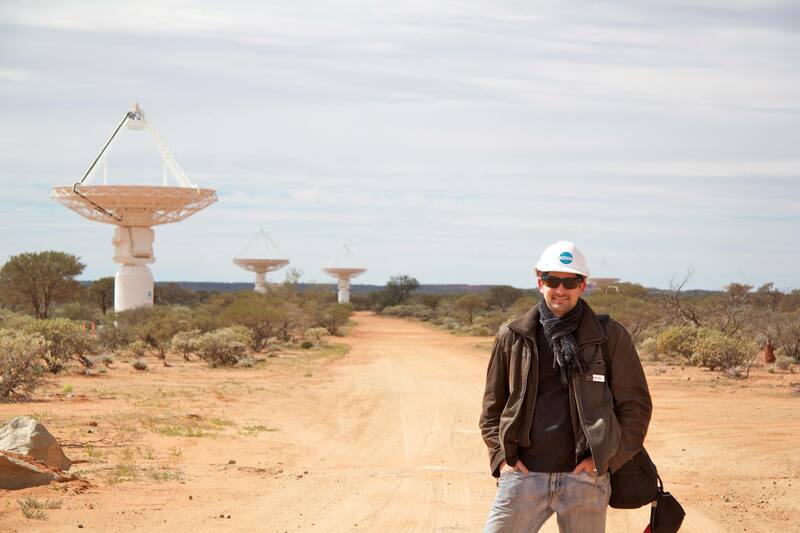 After a stunning week under the sea, that great terrestrial mystery, we leave the fabulous Marah Hardt, and turn our eyes to the sky and the universe with our next curator Mathieu Isidro/@matisidro, from the Square Kilometre Array Project. We have always looked up at the sky and wondered what the heavens were made of. Over time, we grasped that the Earth was not the centre of the universe. We made telescopes and looked at mountains on the moon, we developed more powerful telescopes and placed them in observatories, increasing the size of the optics. 500 years after Galileo first saw that Jupiter had orbiting moons, that cataclysmic moment when everything changed, we launched the Hubble Space Telescope; which, for over 25 years has sent us increasingly detailed and beautiful photographs of interstellar objects and galaxies, the concentrations of light that populate the universe. While we are used to thinking of observing space through light since that is the medium most familiar to us. But there are other ways of observing space, and radio astronomy, an unsung, unheralded hero of astronomy, is the focus of the Square Kilometre Array (SKA), an ambitious, multi-nation project to build the world’s largest radio telescope. Such a large array of receivers would allow us to better study the non-visible light radiation from the universe – and who knows, maybe even an alien signal or two (not really). This week, Mathieu Isidro, a self-described “Third Culture Kid,” of Spanish and French descent, who grew up Australian will be taking over Real Scientists. Matheiu’s passion for astronomy has taken him all over the world, from Australia to Chile, to the UK. And this week, he’s bringing radio astronomy and SKA to Real Scientists. Here’s more about Matheiu in his own words. I think it’s been a mix of extreme luck and stubbornness. I’ve been a space & astronomy addict since childhood, spending nights outside looking up at the night sky with my small telescope in the south of France and in rural Australia. I remember begging my parents to sign me up to an astronomy magazine when I was 10. A few years later, I got into astrophotography and “chased” two solar eclipses (1999 and 2002) before I turned 18! I did science A-levels and started physics at uni, but never finished…I was told I wasn’t good enough in maths. I was devastated. I gave up science altogether and went into languages, my other passion. That was quite the u-turn! But languages led to translation and translation led to communication, and at one point I thought “mmmh, why not specialise in science communication?”. I ended up doing my Master’s thesis on a AAAS strategy paper on characterising exoplanets, in a school where 90% of students came from a literary background. They later told me they’d struggled to find someone to correct it :D. And that was my passport into the science world! It led to an internship at the French space agency, which then led to an internship at ESO, the European Southern Observatory (although I had to apply three times before they would consider me…I think they just gave up saying no in the end!) and ESO opened up a world of opportunities. They sent me to work at their observatories in Chile, and that was a real privilege. I later got an opportunity in Western Australia at the International Centre for Radio Astronomy Research (ICRAR) – they’re involved in the SKA – and that was the final ticket to my current job! I loved science, particularly astronomy, but was never good at actually doing it. Although I found it so exciting I loved talking about it to whoever would listen! I’m a sociable person and love working with people and being creative so that led me to the wonderful world of science communication! What keeps me there? I’ve been to so many incredible places thanks to it! And I get to work with incredibly smart people whom I’m in awe of. I meet and work with a whole range of people, scientists, engineers, journalists, the public, kids. I get to listen in on the latest exciting developments and then “translate” them and share my excitement with the public, it’s great. No two days are the same. My job? Talk about the amazing things that happen in the Universe and the cool machines we build to understand it! More formally, my role at SKA is to help build a global communication and outreach strategy with our international partners from a dozen countries to raise awareness of and support for the project. 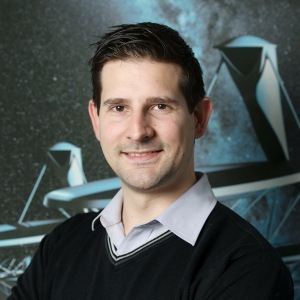 The work involves all aspects of communication, including science communication of course, but also media relations, public outreach, educational activities, and online communication, such as the SKA website and social media channels. And it poses an interesting challenge for a science writer, how do you talk about a telescope that doesn’t exist yet? It turns out, there are tons of things happening already as we gear up towards construction, and I’m getting more and more excited just by the incredible engineering work behind these massive projects. Let’s not forget that without smart engineers, we wouldn’t observe anything! That’s a good question. About my work specifically? I think science communicators are the hinge between scientists and the public. Our job is to translate complex information and research so that the public can understand why what scientists and engineers are doing is important. We put things into perspective, help explain how fundamental research benefits society. And in an age of financial trouble around the world, and because we are publicly funded, it’s important to explain to taxpayers where their money is going and why. And why should the public care about the SKA? Well I will tell you this week :). With all the travelling for work, it’s nice on a day off to just relax and enjoy the area. Cheshire where I live is a beautiful region, with the Peak District National Park just next door, and I love to go for walks in the hills and forests around. Fresh air and nature are a great way to unwind. So a long walk is always nice, and preferably with a warm pub at the end! Please welcome Mathieu to Real Scientists! Metabolize this – Nathaniel Snyder joins Real Scientists!